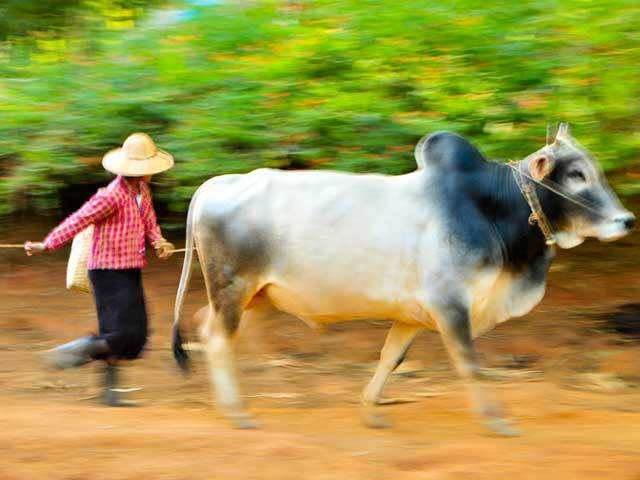 As we wandered around the village about two days walk from Kalaw in Central Burma, we came across a small herd of cattle, with the largest bull being led by a young girl. We stayed out of the way as they scooted by us quickly. I love the motion scene as they came and went quickly. Bulls and Water Buffaloes could be found all over the farming land, doing a lot of the heavy work in the fields.